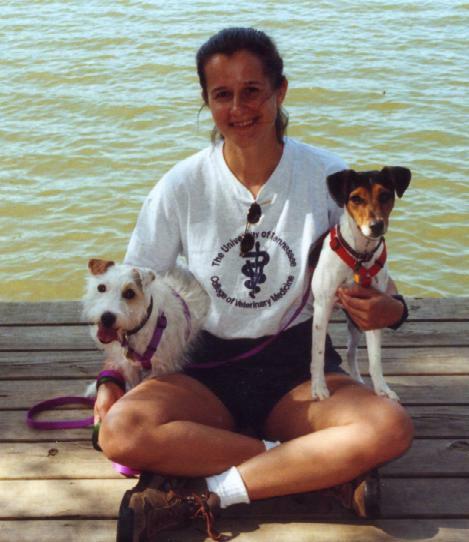 I was introduced to the Jack Russell Terrier in the summer of 1996 at my first job as a small animal veterinary technologist. 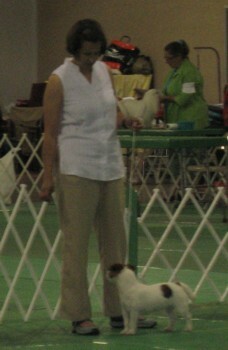 The owner raised a great working line of Jack Russell Terrier and was a JRTCA Go-to-Ground judge. 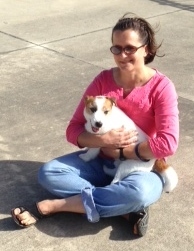 I bought my first JRT, Zipper, from her in 1998 and enjoyed her so much that I couldn't have just one! Dash became part of my famliy the next year. 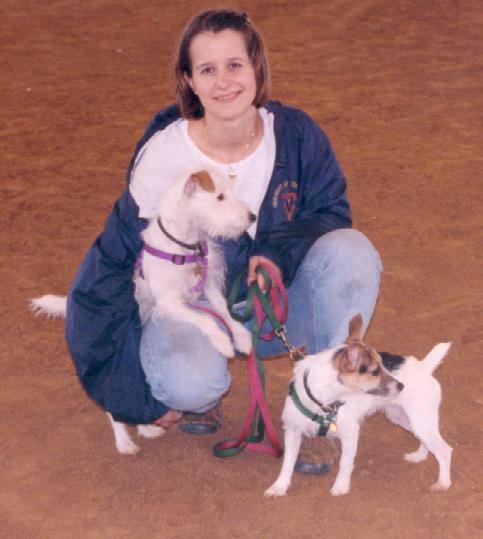 Then, in 2000, I obtained my first "under" Jack Russell, Jetta. 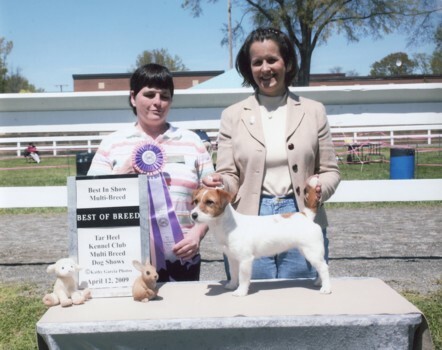 Asthetically, I liked her build better than my previous two JRTs so I started doing research into the short legged Jack Russell. 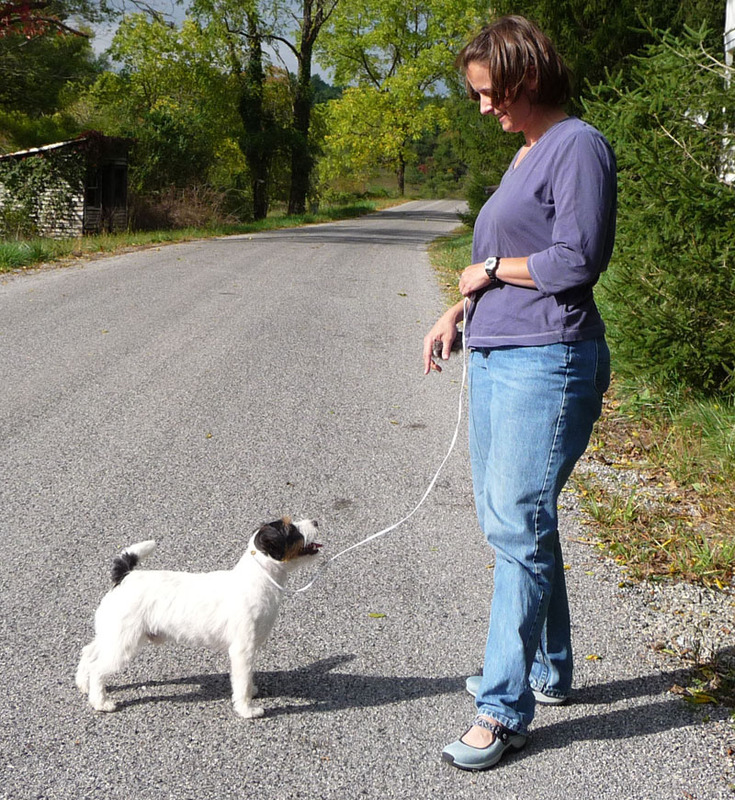 That led me to discover the "Russell Terrier". I am the third generation of my family to graduate from Murray State University in Murray, KY. 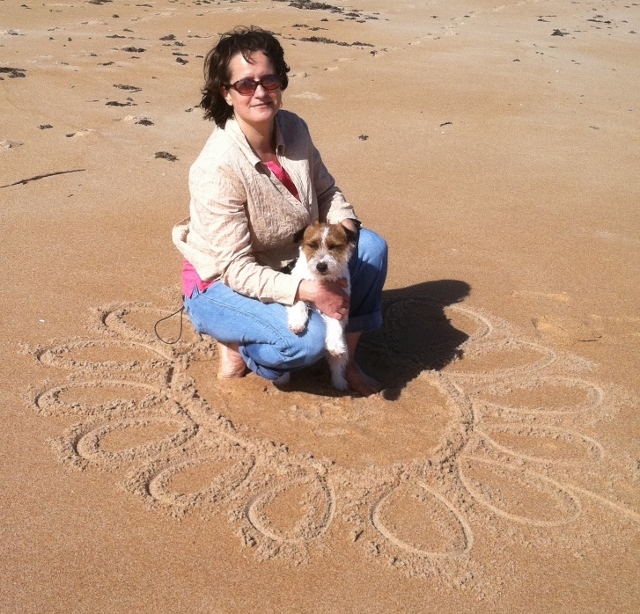 I completed a BSA in Animal Health Technology in 1995. Most veterinary nursing programs take two years but I went through a four year program so, upon graduation, I became a veterinary technologist instead of a veterinary technician. I was licensed in two states, Kentucky and Tennessee. I later decided to continue my education and become a veterinarian. 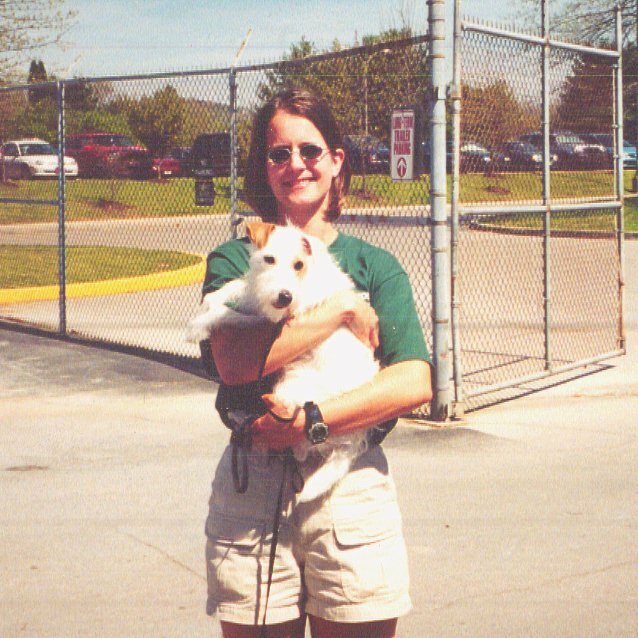 I attended the University of Tennessee College of Veterinary Medicine in Knoxville, TN and graduated in 2001. 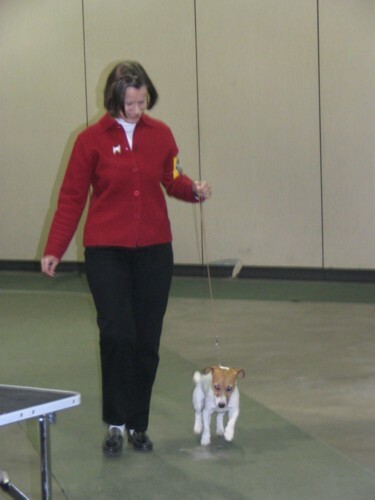 I have been working at the same small animal practice since graduation. 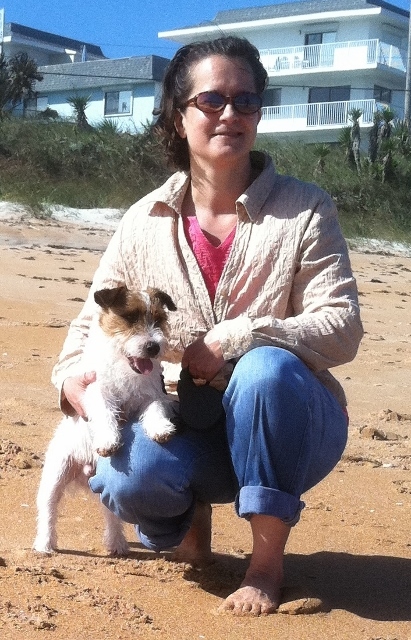 I bought my first Russell Terrier in 2002 and the rest is history. I had my first litter of Russell puppies in the summer of 2004 and I now produce a few well thought out litters per year. 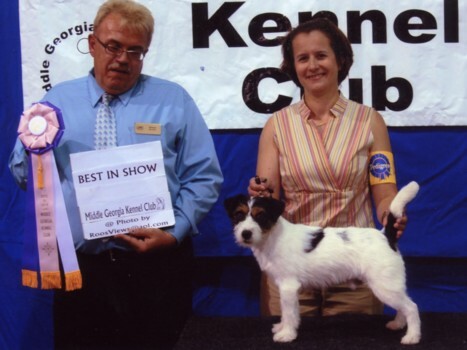 In the November of 2005, I entered my first UKC conformation show. It has been a lot of fun and I have finished twenty UKC CHs and three GRCH so far. 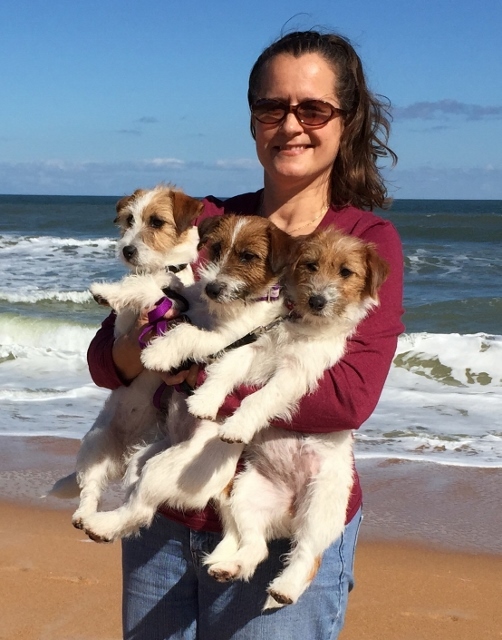 Now that the Russell Terrier has been accepted into the AKC FSS, we can compete in performance events. 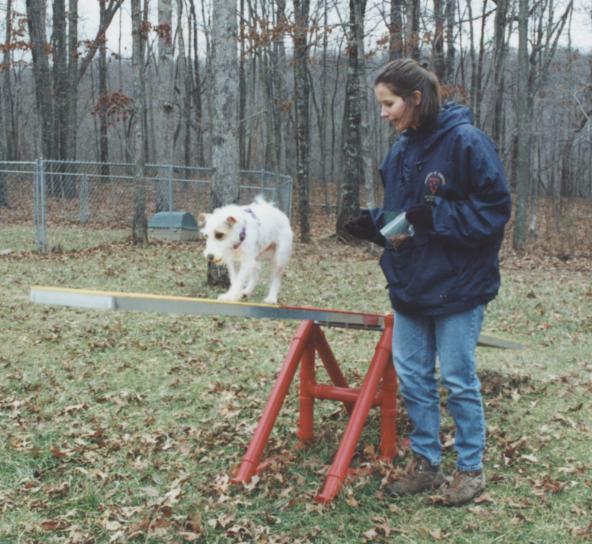 So far, we have participated in a few earthdog trials and have taken a tracking seminar to prepare for future competitions. In 2008, the UKC recognized dock jumping as an event and we started competing in that also. 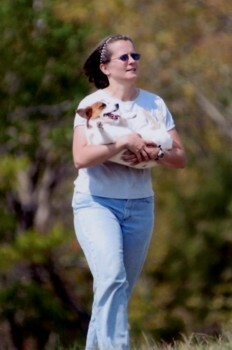 There are an endless number of things you can do with these wonderful little dogs. Being admitted to the profession of veterinary medicine, I solemnly swear to use my scientific knowledge and skills for the benefit of society through the protection of animal health, the relief of animal suffering, the conservation of livestock resources, the promotion of public health, and the advancement of medical knowledge. I will practice my profession conscientiously, with dignity, and in keeping with the principles of veterinary medical ethics. I accept as a lifelong obligation the continual improvement of my professional knowledge and competence.